Her eyes must be what caught the passing attention of a photographer’s scout on a Moscow train platform when she was just thirteen. Pernod-green, piercing or opaque as needed, feline in shape, they command any stranger’s attention — and would, even if the rest of her looked like Quasimodo. That her slender frame instead recalls Audrey Hepburn at her most gamine made Kurylenko an in-demand model through her teens. That she grew up in poverty during the last decade of the Soviet era made her an agile survivor, with reflexes honed for life’s opportunities. This is no doubt the intangible trait that projects danger, and the reason the makers of Hitman cast her as a Russian mobster’s moll, and the powers behind the 007 franchise placed her opposite Daniel Craig in Quantum of Solace, in which she played not a love interest but a rival assassin — a hard-as-nails adversary who turns ally. It was a breakthrough role, and she more than held her own through grueling action and acrobatic chase scenes. It’s a feat she has repeated several times since, most powerfully in Centurion, a Roman Empire-era action drama in which she played the villain — a lethal tracker for the tribesmen north of Hadrian’s Wall, maimed in childhood and hell-bent on avenging herself. Her mother was an art teacher, her grandmother a physician (her father left early, and she has seldom met him since), and although they were crowded into a small Ukrainian apartment together with a gaggle of other relatives, kindness, tenderness and curiosity were instilled in her as an emotional first language that forms the basis for the six actual languages she has since learned to speak. 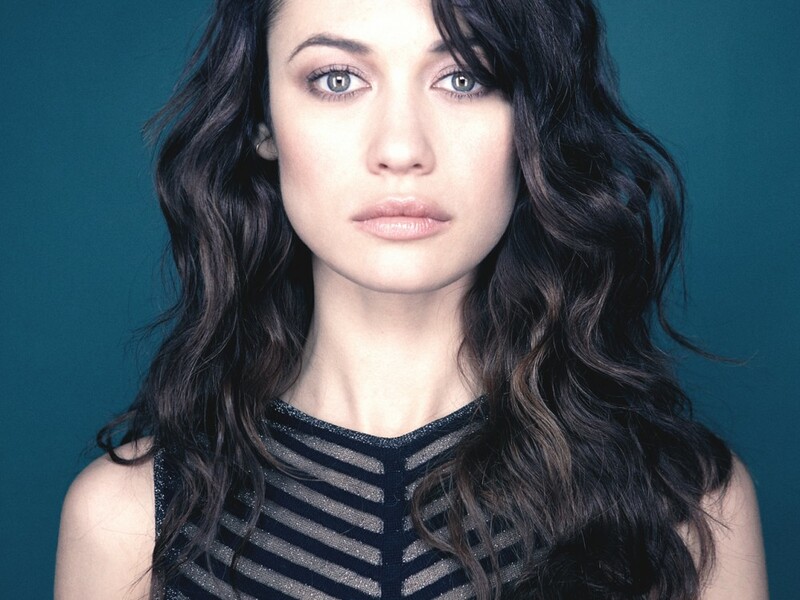 This is the legacy of warmth that has led to Kurylenko’s most recent successes. In 2013 she has costarred with Tom Cruise in the global hit Oblivion, been shown to gorgeous advantage in Terrence Malick’s To the Wonder and enjoyed an amplification of her role on the hit TV series Magic City as it enters its second season. After she dropped by the Fade In studio for a photo shoot in L.A., we caught up with her again as she whirled through Tokyo to promote Oblivion. In addition to co-starring in Oblivion with Tom Cruise, you produced Land of Oblivion, about Chernobyl. That had to be a very personal project for you. How did it come about? Funny you mention that, because I’m in Japan right now with Oblivion coming out, but Land of Oblivion came out here a couple of months ago. Because both titles contain the same word, every journalist here asks me about that one — especially because Japan is recovering from its own nuclear disaster at Fukushima. They’ve suffered the most radiation. I knew the producer of Land of Oblivion, Laetitia Gonzales. Years before, when I was just starting out in films, I appeared in something else she produced [À l’est de moi, 2008]. A small role, but she remembered me. So when Michale Boganim — the writer-director — said she was looking for a Ukrainian actress, Laetitia said, “The only one I know is living here in Paris.” Michale was uncertain about me, but we met. Her script, which I had already read, was amazing, a work of real poetry and beauty. I was like, “This is my part; I know I want to do it.” The hardest thing was to convince Michale. When we met, she said, “Okay, but I want you to audition for the part.” I was like, “What? !” [Laughs] This was a small-budget movie, her first feature. I’d thought because my name was well known, she would want that — but no. She was like, “I don’t care who you are, or what you’ve done. The most important thing is: Are you right for this part? I need to see what you can do.” Which was great! She’s a talent. She wasn’t going to take me just so she could finance the deal. She was about the work — she’s an artist. So I did an audition. I gave it everything I had; I even had to sing. Fortunately, the character has to sing badly, so I nailed that! [Laughs] But even though this went well, when Michale went to the Ukraine, I knew she was still looking — she just wanted to make sure she hadn’t missed anybody — but came back to me. It turns out I was always her first choice. After some time passed, and we were ready to shoot, the production was suddenly in danger of being pushed back to another year, or never. Michale was unsure about whether she had a big enough budget. I told her, “This is not an option!” I flew to the Ukraine, used my notoriety and met with potential investors to pitch the project. I found half the money; that’s how I became executive producer, as well. And we made the movie. I’m very proud of it; it’s very important. You were seven years old when Chernobyl happened, and even though you were living 400 miles away in Berdyansk — at the other end of Ukraine — that was a lot closer to danger than most of the world. What are your memories of that moment? I remember the clouds blew toward Western Europe. They didn’t come our way. Still! My grandmother was a doctor, so I’d always been over-protected health-wise, but she wouldn’t let me out on the street if it was raining. She said, “This rain is radioactive. It’s going to be that way for years. If you let it fall on your head, your hair will fall out.” We couldn’t eat fruit with the skins. An apple had to be peeled. We were peeling every thing. You take shallots, tomatoes, cucumbers — everything was boiled, really horribly, until it wasn’t really a vegetable anymore. [Laughs]Deprived of all vitamins! Who knows if such preventive measures worked, but people were really trying. There was no more playing in the rain, or even in puddles, which I’d loved so much as a kid. Were you able to escape what was happening by going to the movies? The only movies we had were Soviet movies. After the collapse, when I was still young, we began to get American films — but even then my family couldn’t afford the VHS or DVD players. I didn’t really catch up with film culture until I moved to France. It is true that when I began to model in Russia, and had a few dollars of my own, one of the first things I bought was a VHS player. Two movies I remember having a big impact on me were Paris, Texas, by Wim Wenders, and Volker Schlondorff’s The Tin Drum. Now that I think of it, French movies did show, and were very popular in the Soviet days, when I was a small child. We watched a lot of French comedians. But I didn’t see any American movies until much, much later, after I began to travel. Was that abundance of new culture why you switched your citizenship from Ukrainian to French when you came west? No, the reason is much simpler. When I arrived in France, I felt like a fish at home in the water. It just felt right. I loved the French people; I bought into their way of living. For a while I had a husband who was French. The feeling of integration was very natural. But in terms of my citizenship, the decision was practical. I was working as a model. So much traveling was involved that — with a Ukrainian passport — each time I wanted to leave France I would have to go to the embassy and wait on long lines for hours applying for my visa. Then I would have to come back. You know, when you’re a model, the whole job is about travel. No one does it for you. You go, you stand in line. You fly economy. I modeled for ten years, and because you’re on your own, getting a visa each time became a nightmare. There were times when I couldn’t get it renewed fast enough and would just lose the job! With a French passport, you could go anywhere. It’s an easier existence. I lived there thirteen years. Many of my closest friends are still French. Many of them are immigrants from elsewhere, too. Everything is much more connected in France for me, much more than the Ukraine. Now you’ve adopted London and are living there, What prompted the move? Again, lots of good reasons. Basically, once in France, I started making movies — French-speaking movies. I wanted to make English-speaking movies as well, and briefly went to New York, but that was impossible. Very difficult, with all of the competition. No one knew who I was. I realized the only way to get an English-speaking role was through Europe, but American casting people don’t look for actors in France. Most French actors don’t speak English; you can count the exceptions on one hand. I got Hitman by a miracle, because the director was French, but once offers began to come in, they were either based in Los Angeles or London. I realized my business had shifted. I’d already been living in London for close to a year in various hotels, and it had improved my English. The move made sense. It’s a central city, easy for me to get anywhere I need to go. As much as I love America — particularly L.A. — it’s too far from the Ukraine, where my parents live. So? London is a very good alternative. I’m in an English-speaking city, in Europe, connected in all directions. Now that you’ve executive produced, do you think you might again? Yes — I love it! Laetitia told me she would produce again with me any time. We had a good time. It was a very female movie. The director’s a woman, and we producers — and we all got along, a good team. We didn’t compete; we were all about helping each other out. If the opportunity comes up again, sure, I would love to produce. There’s a great deal I’d still need to learn, but I did learn a lot on that set. I also served as the interpreter, because it was a Ukrainian crew, and otherwise there wasn’t enough knowledge of French, English or Russian to go around! You’ve worked with some very seasoned actors and directors. Is there anyone in particular who has taught you something you didn’t already know about the art of acting or the business? There are so many things I’ve learned from so many! I always learn on every movie. I learn different things. A part of producing, a part of acting — even a part of directing, though I don’t think that is something I would ever be interested in. 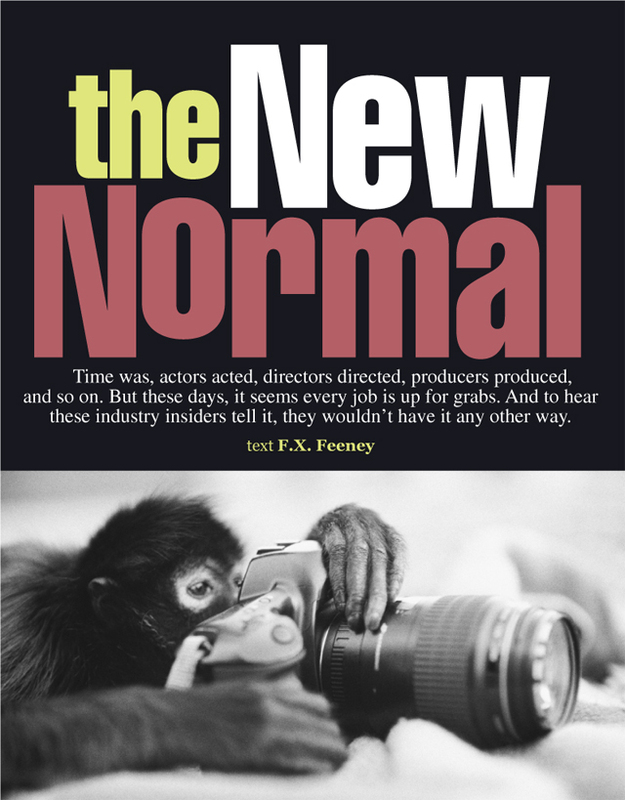 Right now what fascinates me is acting and writing. I would much rather write than direct. When I was a small child, I would write continuations of whatever book I’d just read because I was sad that it ended. Now I don’t feel I can do it well enough to call myself “a writer.” There are geniuses out there. Not long ago, however, I pitched an idea to Samuel Leader, a friend who’s a novelist. He’s done a first draft screenplay, and now we’re polishing, working on it together. It’s my project, but he’s doing most of it because I’m busy. It’s his first script, because he writes novels, but I’ve read scripts and have been working with them year in and year out, so I come in and start cutting chunks. He has an amazing mind. Not famous yet, but a hidden treasure. I think he’s going to come up with something good. So we’re working on that. Of the roles you’ve played thus far, which one challenged you the most? Must I limit myself to just one? My career is not that long, but I learn all the time. There are many roles that touched my heart — my very first film, The Ring Finger? The girl I played, Iris, will always be in my heart. I still love that movie. Diane Bertrand directed it; it’s a little art-house jewel. Then, of course, there is Marina, in the Malick movie, To the Wonder. Working with him was the kind of thing one dreams about. I consider it a miracle that I got to meet this man. There is Anya, in the Chernobyl film, and Julia in Oblivion, because of the people I worked with — Tom Cruise, who taught me a lot, and director Joe Kosinski, who’s so brilliant — that film has been an important event in my life. 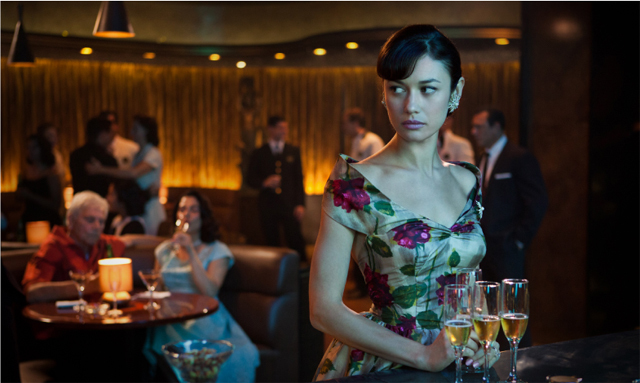 I also want to stress that I quite love Vera, my character in Magic City. She is so different from everyone else I’ve done. It’s not action-genre — she is of the 1950s, sensitive, actively in love with her husband. She’s so girly, so naturally clumsy and funny. And because we’re continuing into new seasons, I’m carrying her inside me. That’s a terrific show — more like long-form cinema than television. In the second season, creator Mitch Glazer has given you more to do. There’s a great moment where Vera’s husband Ike is in jail and she takes over the meeting where the fate of his hotel is on the block. Yes! She’s handling the crisis better than all those guys are — and standing up to them! One gets the impression that Glazer is really looking at you, and building the character around you because he’s inspired. What have your conversations with him about Vera been like? Originally my character was described as this blonde, American, very crazy woman — and I have nothing of those qualities in me. Even so, I loved the part when I read it. Mitch came to me having other possible actresses to cast in that part. He wanted me for the show, but he wasn’t necessarily thinking of me for Vera — but I told him, “She is the character who excites me, she is the one I want to play.” He was intrigued, cast me and started to adapt her to my mannerisms, and even my way of speaking. He has a good ear for little ways I have of phrasing things. For instance, I have a French — also Spanish — habit of adding the word “No?” as a little question at the end of sentences. “This restaurant is Japanese, no?” Now Mitch has given Vera that habit. He gets inspiration from me, for sure. Who’s inspired your work the most? For acting? Emily Watson in Breaking the Waves. I saw that movie when it first came out, and when I came out of the theater I said to myself, “If that’s what acting is, that’s what I want to do.” That’s when I made my first step. Not just to take classes, but to find an agent. As a woman, in life, apart from acting? I am inspired by Simone de Beauvoir. Her writings have really informed my thinking: about the way to be, the way to construct your life. I really admire that woman — she was so strong and so smart. I wish I had her brain! I’m fascinated by smart people. I love reading philosophy. Tell us a little more about working with Terrence Malick. To prepare the role of Marina in To the Wonder, he supposedly gave you three Russian books to read. What books were they, and how did they help you? The books were Anna Karenina, which I’d read when I was young — but this second time, I understood so many more things than I did before. I was too young the first time. Now I really knew! Another was The Brothers Karamazov, which I’d never read before, plus The Idiot, which I know well, and happily read again, because I simply loved it. Reading these novels for Malick definitely helped me. Because when I did, I thought, “Of course! I don’t even need the script. I’ve got it all.” Altogether, if you add up all the pages of those books, they are five or six scripts. The materials are so thick, you don’t need to read a script after that. Instead we spoke a lot, and he told me which character to concentrate on in each book, and what qualities to look out for. He said, “Only Russian literary characters can combine insolence and candor at the same time, in such a noble way.” That was a very interesting and rich insight. Those two words of his, insolence, really stuck with me. Malick wanted me to be both at the same time. They are opposite concepts: someone who is insolent is not necessarily candid, and so to be both really does require a large spirit, and that is her nobility. I was really guided by that premise. We had lots of conversations. He told me Marina’s story from himself, not from the page. He didn’t hand me the script. He told it to me, I took it in; I remembered everything. Certain things kept repeating and repeating in our talks, and that stays with you. It grows. It was so much better than reading the script — but then, in life, I always work better with my ear. I have more of a tendency to remember something if I’ve heard it rather than if I read it. That’s why I’m quick to learn languages. If I hear it, I can repeat it. Here in Japan they were surprised — they asked me to pronounce certain messages for TV, and I could give them what they needed, precisely, after hearing their person say it once. If they had written it out, I would have been lost! Malick’s method is very vocal. He did give us pages, with the thought of the day, or the message of the day — the internal thoughts of my character, for example. Read that, and it stays with you for the day. You know that’s what you’re going to work on. It was very interesting internal work. I learned so much, and grew so much, during those months. Struggle is a part of life, but struggle with your loved ones? That makes it so much easier. If you struggle by yourself and you have no love, there’s no way you’re going to survive. If you’re surrounded and you feel love, chances are you’re going to go through struggle. If you’re all alone, and not supported? You’ll fail.